#1: How do I flood fill a TCanvas with Firemonkey? The given solution recommends defining path data in a TPathData and then flood filling the path with TCanvas.FillPath. TPathData is pretty useful as you can use it to draw all kinds of custom shapes in Firemonkey with it as well. #2: How can I access every pixel on a mobile define screen when all the resolutions are different? #3: How can I display an image full screen with TImageView on mobile devices without distortion? The recommended solution is to place the TImageView inside of a ScaledLayout and then use the Screen.Size property to scale the ScaledLayout component based on the screen size. 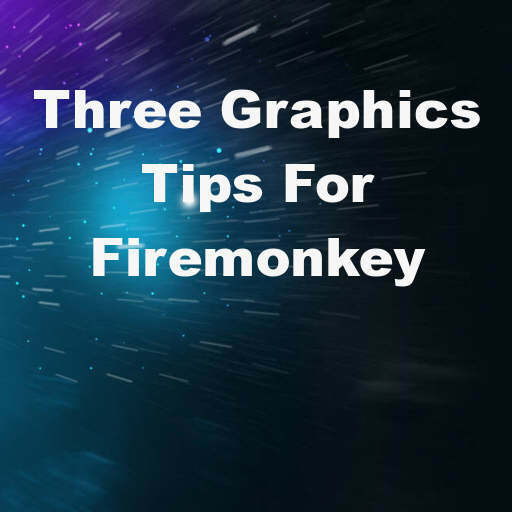 The code from these tips should work cross platform on all Firemonkey supported platforms which are Android, IOS, Windows, and OSX.